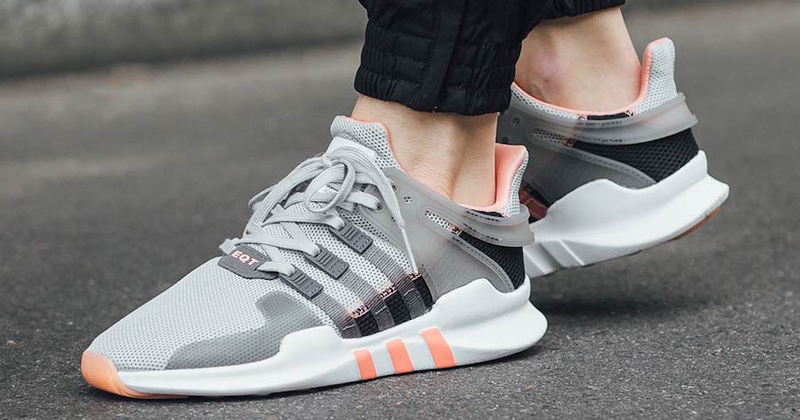 “Chalk Coral” and “Semi Frozen Yellow” are the two latest color options for the three-stripe’s EQT Support ADV, and you can get your dirty little hands on them right now. The “Chalk Coral” pair arrives with a cool mix of grey and black on the supper, a classic white midsole and toned down pastel coral on the sock liner, midsole and outsole. The “Semi Frozen Yellow” edition rocks a white, black and grey upper, white midsole and a soft frozen yellow hitting the sock liner, midsole and outsole. Peep the on-feet photos below courtesy of Titolo. You will now find these two colorways available at select retailers throughout Europe, with a Stateside release sure to follow soon. To shop all EQTs from adidas, click here.